One of the best charter bus providers in Sacramento. Our rates are comparitively cheap. Call us today to get the best rate for Deluxe Motor Coach, Mini Bus, School Bus, Party Bus, Limousines, Van and more... for any of your charter bus events. Prompt Charters is the premier charter bus and minibus rental company in Sacramento, CA. With a modern fleet of over 275 vehicles, in addition to buses that include the luxury sedan, Sprinter Vans, limo, we are the one-stop solution for all your corporate and private transportation needs. Our 56 seat coach buses are the top of the line buses with wifi, power outlets and all other amenities such as DVD, restroom and large baggage storage place underneath. We provide all types of transportation services such as limo, minibus, coach bus, charter bus, school bus and executive charter bus rental in Sacramento, California. If you need a charter bus for hire please contact us. We guarantee the best possible charter bus rates. If you're coming to town as a group let us help you manage your transportation needs in Sacramento. Charter Bus service in Sacramento is available through Prompt Charters. As the Capital of the great state of California, there is always a huge demand for reliable transportation providers such as charter bus, minibus and school bus providers in Sacramento. Since it is an ideal location there are many technologies, healthcare, and other sectors opening offices here. Therefore there is always a lot of demand for charter buses. As the largest charter bus rental company in Sacramento, we provide buses for weddings, corporate events, school field trip and church events. 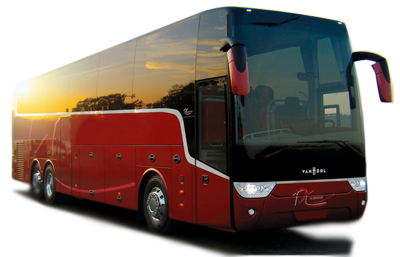 All our coach buses and minibusses are high-end luxury buses with lavatory, PA system, DVD and luggage compartment. In addition to all these capabilities, all coaches come with wifi and electric outlets. Are you planning to hold a conference or corporate event in Sacramento/ A Major portion of our business is corporate travel? Picking your staff from the airport to shuttling large groups to and from large events, we do it all. Whether you are holding a sales conference or shareholders meeting we got you covered. When it comes to bus charters or bus rentals for corporate events, it has to be done meticulously and economically. Armed with a team of professionals and coupled with cutting-edge technology, we will be able to do a superb job on your travel plans. School Field trips are an exciting time for the little ones. The overall experience depends on om the travel arrangement also. Ideally, coach buses are the best solution for field trips many schools often do not have the fund to charter coach buses. Therefore most school districts rely on school buses for field trips. Finding a coach bus or school bus for the last minute trip can be tedious and time-consuming. Especially during school closing season, it can be extremely difficult to find a bus. 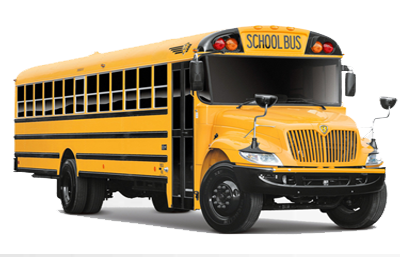 As the largest school bus rental company in Sacramento, we can help you take your kids to filed trips safely. With a fleet of over 1000 school buses, we never run out of buses. Our seasoned staff with a core understanding of the needs of the teachers and coaches, we can be a partner in your travel. As an experienced charter bus company with many church group transportation, we can take you wherever you want within California or out of state. If you are planning for a youth retreat or a church conference, we will be happy to work with you. Let all the church family travel in a coach bus with an amazing experience. Traveling together can help you get to know each other better and build a great bond between the parishioners. We will also help you find a retreat center if you are looking for one. There are great places you can visit in Sacramento. The city has great museums and amazing attractions. Crocker Art Museum is a place of fun and thought-provoking experience. In addition to a great display of California art, Crocker features European master drawing and international ceramics. Capital Building in Sacramento is another fantastic experience, especially for students. California State Railroad Museum features over 21 restored locomotives and railroad cars and you can have excursion rides in these trains, some of them dating back to over 200 years. Entertainment and Amusement Parks – Enjoy classic free entertainment in Old Sacramento as well as in Midtown. Also, let the kids enjoy at Fairytale Town, a theme park geared for young children. Arts & Cultural – For an amazing art experience, head over to Crocker Art Museum. With over 15,000 pieces, you’re definitely going to be impressed. Restaurants & Shopping – For some shopping, visit Old Sacramento, Midtown, Arden Fair Mall, Pavilions, Westfield Downtown Plaza, and Roseville Galeria. Shop all the brands you love here. For great fine dining food, head over to The Kitchen Restaurant and The Waterboy. Sports Venues – When in Sacramento, you should take the time the see the NBA team, the Sacramento Kings. They might not be the best now, but they have several NBA titles. Historical Sites and Landmarks – IF you want to see historical sites, head over to Sutter’s Fort, close to where the California Gold Rush started. Also, visit Old Sacramento and Midtown for a historic feel. Parks & Outdoor Activities – You can’t miss going to Capitol Park, the seat of Californian government. Also, pull out your canoe and kayak for some fun on the Sacramento and American Rivers. Other points of interests – Ever wanted to see how rich people lived a century ago? Tour historic mansions in Sacramento!